In an ugly but I think pretty understandable way, the knowledge of having a forthcoming book stood as evidence for me against the small but fairly vocal collection of peers and instructors at Arkansas who didn't think what I did was poetry, or that I would have any publishing success. A favorite example: Dave Smith visited our program and in our meeting he said, "the only thing I can tell you Tony is stop what you're doing." Or the first week of my first workshop, hearing about the older students taking turns reading my first poem at a bar and mocking it, etc. Or people walking out of workshop in the middle of my poem. This all fed into the ambition machine (which keeps humming). I'd actually daydreamed about this exact sort of thing happening, getting some sought-after award or publisher, but that it'd happen right before my graduating reading and it'd be announced then, and then I'd laugh in everyone's face. But I think that's the kind of thinking that hyper-competitiveness can bring, or at least it's the kind of thinking that it bred in me. I feel pretty distant from that mindset now, but it was there, definitely. Tomorrow: A big party to celebrate the Tiny! Copies of issues one and two will be available for sale--as supplies last! If you have any questions, need directions, etc., feel free to contact us. 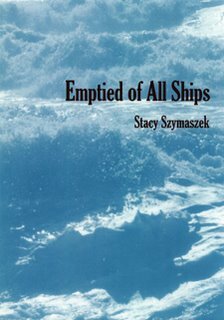 ...about her first book, Emptied of All Ships, (Litmus Press, 2005) here. 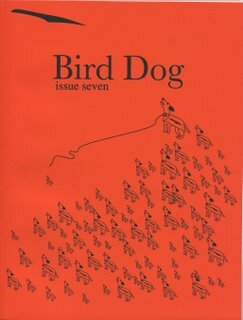 For the scoop on Bird Dog, see this recent post. Congress is pushing a law that would abandon the Internet's First Amendment -- a principle called Network Neutrality that prevents companies like AT&T, Verizon and Comcast from deciding which Web sites work best for you -- based on what site pays them the most. Your local library shouldn’t have to outbid Barnes & Noble for the right to have its Web site open quickly on your computer. Net Neutrality allows everyone to compete on a level playing field and is the reason that the Internet is a force for economic innovation, civic participation and free speech. If the public doesn't speak up now, Congress will cave to a multi-million dollar lobbying campaign by telephone and cable companies that want to decide what you do, where you go, and what you watch online. This isn’t just speculation -- we've already seen what happens elsewhere when the Internet's gatekeepers get too much control. Last year, Telus -- Canada's version of AT&T -- blocked their Internet customers from visiting a Web site sympathetic to workers with whom the company was having a labor dispute. And Madison River, a North Carolina ISP, blocked its customers from using any competing Internet phone service. For more info (& to send a letter to your representatives in the House & Senate), click here. MoveOn.org is also organizing public action for Net Neutrality. Eschaton & Daily Kos are on top if the evolving story too. Kitchen Press chapbook authors will be kicking things off this Saturday, May 6th, at 8:00 PM @ the Lily Pad in Inman Sq. (Cambridge, MA). Admission is $5. Books will be available at the reading (& Justin usually offers a multiple copy discount) or you can get them at the Kitchen Press store. Fictioneers have been DIYing for years too (as have our comic book friends). Novelists, short-story writers & their publishers are often simultaneously releasing free e-books to complement/promote the printed versions. * As usual, the genre writers seem ahead of the curve here, but even mainstream publishers are picking up on this idea. I've just stumbled across your website, and am heartened to find some other people who are doing exactly what I am. 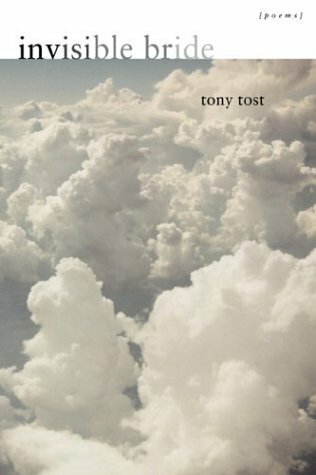 I wanted to write and ask if you might mention the release of my novel, which I'm offering as a free e-book download and as a handmade perfect-bound book from my website. Now I'm going to add DIY Publishing to my daily RSS feeds! I wrote Hamish back to thank him for his announcement & to recommend Jim Monroe's great site (which I've recommended here before) No Media Kings, since Jim is the go-to guy for DIY fiction ideas. Turns out, Hamish knows Jim too & just wrote an article for No Media Kings about DIY book publishing. (Hamish, check out Lulu.com if you're still interested in POD--far & away better than Cafe Press qualitywise, & without the censorship.) Cool. * Resident Fiction Consultant (a.k.a. my husband) & I have been discussing the difference of impact on sales for fiction & poetry a free e-book release might have: Since poetry books are shorter & generally collect several pieces they're more convenient to read electronically. Would simultaneously releasing a free e-book cut into the sales of the same book in print, assuming one's goal is to turn profit or at least break even? I think it might, a bit, but that many people will still enjoy/prefer having the physical object. Also, considering POD's classic advantage of a lower breakeven threshhold, it might make more sense for POD publisher to do this than those using offset/inventory warehousing systems. For authors/publishers not concerned with profit, there seems no reason not to release an e-book for free at the same time. Moria does simultaneous releases like this, though Bill actually seems to be looking at the print editions as a supplement to the free content of the magazine & e-chap series, not the other way around. Yesterday in the shared DIY storefront thread below, Ivy Alvarez pointed to Chapbook Finder, another resource website for (not necessarily DIY) chapbook publishers & collectors. (Thanks, Ivy!) The site seems fairly new, but already contains a list of publishers, a links page (that points to Wild Honey Press's chapbook stitching demo), & a spot for individual chapbook descriptions that may evolve into something like a shared catalog or recommended titles feature. 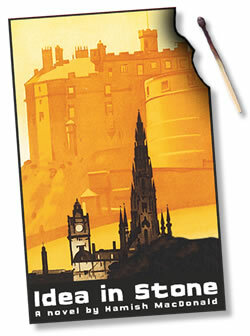 I've added them to the sidebar under "Stores, Distributors, Directories & Reviews." The editors can be reached at chapbookfinder [at] aol [dot] com. Poking around on the Poets House site yesterday, I noticed they use a service called Link Baton which directs readers toward a CHOICE of online retailers for each linked book, & can set cookies to remember preferred stores. I played around with it some. It's pretty cool. We might be able to incorporate Link Baton into a shared storefront too. (Unfortunately it will only work for books with ISBNs though.) It also seems like a handy feature for blog recommendation/reviews too, and it's designed to let you use it & still get credit for your affiliate referrals, if you're getting commissions from Amazon, Powell's, etc. (I've linked to the webmaster page pertaining to book-linking, but Link Baton also works for stocks & journal articles & publishers might want to read this page too.) Link Baton's been added to the "Other Resources" list in the sidebar. 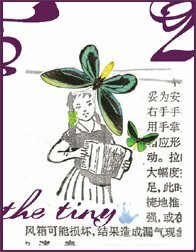 It's fall in the Southern Hemisphere, just in time for the Autumn 2006 debut of Otoliths, a new online journal presenting visual poetry & art as well as text-based work in a streamlined, creatively tweaked blog format that allows readers to comment on the individual pieces. 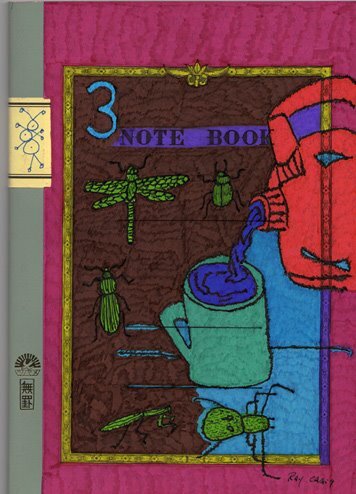 The issue contains work by Eileen Tabios, Tom Beckett, CAConrad, Geof Huth, Jack Kimball, Thomas Fink, Shiela E. Murphy & many more, plus mini chapbooks by Jean Vengua & Ray Craig. Otolith: One of the small bones or particles of calcareous or other hard substance in the internal ear of vertebrates, and in the auditory organs of many invertebrates; an ear stone. Collectively, the otoliths are called ear sand and otoconite. About Otoliths: The intention is for Otoliths to appear quarterly, to contain a variety of what can be loosely described as e-things, that is, anything that can be translated (visually at this stage) to an electronic platform. If it moves, we won't shoot at it. Otoliths will be accepting submissions for issue 2 through July 31. ...in the comment thread below, now seems like a good time to mention two books I have been meaning to talk about here anyway. 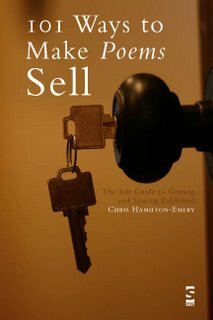 The second book is How to Make a Living as a Poet by Gary Mex Glazner, which just happens to be published by my favorite indie press. (Ahem.) Gary has done some really amazing things to promote poetry, his own & others'. For instance, he's put his books in the nightstands & on the pillows of hotel guests. The multicity, multipoet bus tour? Gary's been there, done that, had it paid for with a liquor sponsorship & even made a documentary about it. No idea is too ridiculous for this man to consider & most of them he gets away with. Here's an interview with Gary. He's also got a blog, of course.